Roger Federer believes Serena Williams “went too far” with her on-court meltdown at the 2018 US Open women’s final. Williams was slapped with three code violations but Federer believes tennis, in general, is far better behaved than other sports – particularly when compared to Conor McGregor, the UFC fighter. McGregor has attracted negative headlines for invading a Bellator cage, throwing a dolly through a bus window, and fending off accusations of racism against former opponents Floyd Mayweather and Khabib Nurmagomedov. Roger Federer believes Serena Williams “went too far” at the 2018 US Open, but reasons that tennis players are still better behaved than athletes in other sports, like UFC lightweight Conor McGregor. In a recent interview with The Sunday Times, Federer recalled Williams’ outburst in the middle of the US Open women’s final in New York City on September 8. Williams was beaten in just one hour and 19 minutes by the then 20-year-old competitor Naomi Osaka, but her behaviour in defeat became headline news after chair umpire Carlos Ramos gave Williams three code violations for receiving coaching, for smashing her racket, and for verbal abuse. The code violations and the reactions of Williams were widely reported in the subsequent days, with Australian newspaper The Herald Sun lampooning her in a “racist and misogynistic” cartoon that grossly exaggerated her features. It then embarked on a mean-spirited crusade and called her “no feminist hero,” something Business Insider refuted at the time. He said that poor behaviours in tennis are few and far between, especially when compared to the UFC and its star fighter Conor McGregor. Irish striker McGregor has attracted plenty of bad press as he invaded the cage at a Bellator event in 2017, threw a dolly through a bus window which injured UFC athletes in an attack earlier this year, and more recently was accused of racism for comments against Floyd Mayweather and for talking about Khabib Nurmagomedov’s religion and background. 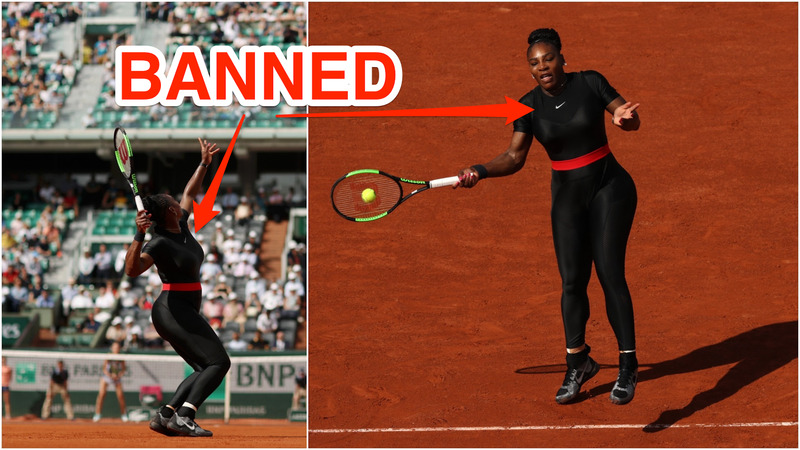 Elsewhere in the interview, Federer discussed the black catsuit Williams wore at the 2018 French Open, an outfit she said made her feel like a “Warrior princess” from the hit movie Black Panther. It also had the benefit of helping to prevent bloodclots. The outfit was eventually banned from future French Open events with the president of the French Tennis Federation, Bernard Giudicelli, quoted as saying that the outfit did not respect the game or the place.